Sailing down to Tasmania? We have our own mooring for customers and there is a public jetty close by. Very comfortable property. Great views,great location. John was readily available if needed. Most enjoyable stay. property seems rather dated with stained carpets and worn out three piece suite. Metal pedal bin lid in kitchen is broken. New frying pan needed, non stick worn off. Beds were comfy and at last a place that has large enough towels to wrap around you after shower, well done. Lovely place to stay right on the river with rabbits running around the garden. John was very attentive to detail when checking in and also came to make sure we were ok. Thank you for your comments. Unfortunately many guests do not look after the place as well as I am sure you did. The bin for example was only purchased last year. coffee or wine is often spilt and we cannot afford to charge reasonably and at the same time replace the carpet on an annual basis. I will replace the bin again as that is within budget. Peaceful and pleasant surroundings with a beautiful view. Shopping facilities in close proximity and local attractions not far away either. 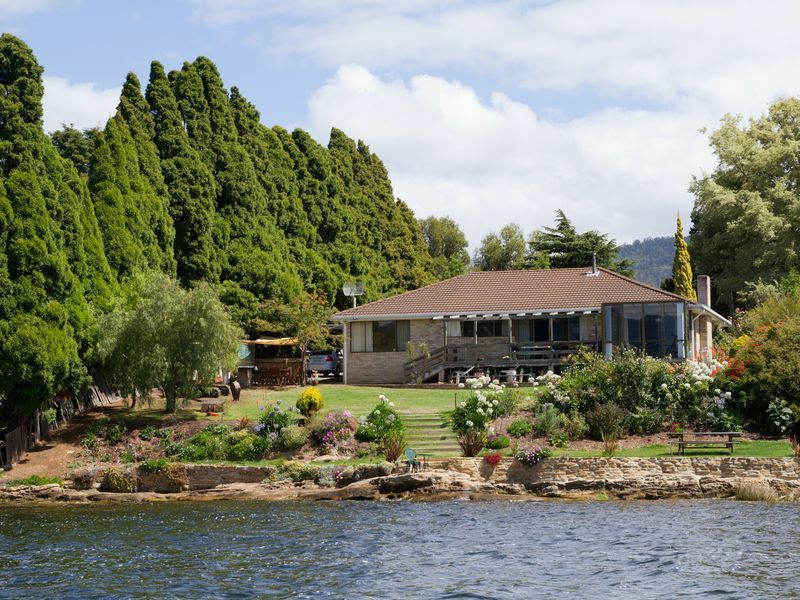 We thought the location of the property was great, and very accessable for visits to Hobart and the various attraction around. A nice quiet location on the river, the children loved the ability to go fishing. We had stayed here in 2011 and had no hesitation in booking in again. John is a great host, helpful when you need it and happy to leave you be when you don't. I used one of the kayaks that John offers and spent several hours paddling the Derwent backwaters. The house, while comfortable will soon be in need of a little renovation to bring it back to the same standard we enjoyed 5 years ago.